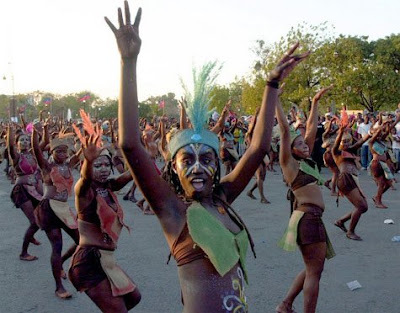 Haitian dancers perform during Carnival festivities in Port-au-Prince. Carnival in Haiti concludes on the day of Mardi-Gras, also known as Fat Tuesday. Haiti Carnival marks the beginning of one the holiest times of the year. It leads to a time of repentance and abstinence.